Protection training is offered to select owners and dogs. 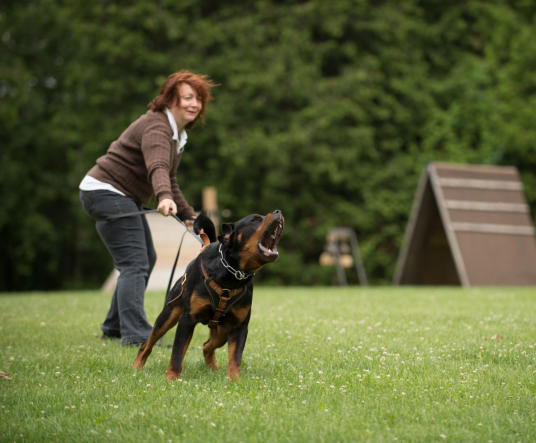 Dogs must have completed Basic Obedience training and an individual assessment. A customized training program will be put together that fits the needs and abilities of both dog and owner. This training is available for either personal protection or law enforcement personnel.